Bulldogs have become one of the most popular groups of pedigree dogs in recent years. 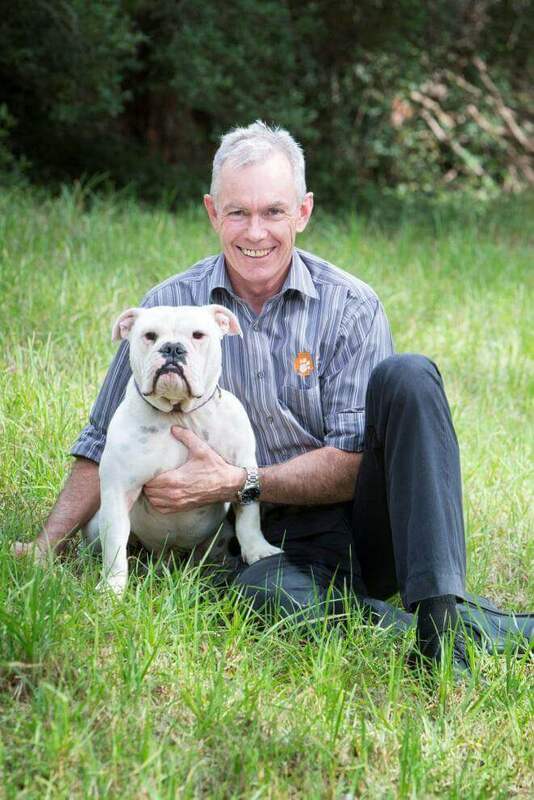 At Eltham Veterinary Practice, we have a special interest in Bulldogs, as Dr Steve Pryor has owned and bred them for several years. Having very expressive faces and big eyes is a big part of why so many people love Bulldogs. Additionally they have fun loving personalities and despite a reputation as a couch potato, like to be involved in the family. Their appearance is certainly an acquired taste. If you own a Bulldog, or are intending to buy one, there are a number of things you should be aware of. All dog breeds have their own particular problems, but it’s fair to say Bulldogs are a higher maintenance group of breeds, and we recommend all Bulldog owners invest in Pet Insurance after a considerable investment in their new pup. There are 4 types of Bulldogs commonly seen in Australia: American Bulldogs, Aussie Bulldogs, British Bulldogs and French Bulldogs. Similar genetically are Boxers and Bull Mastiffs but they don’t suffer the breathing problems. Other flat faced (brachycephalic) dogs that are at risk of breathing problems (BAD) include Pugs, Pekinese, and Shih Tzus. Miniaturised breeds such as Toy Bulldogs are likely to have significant health issues and are fortunately not seen in Australia much. Brachycephalic Airway Disease (BAD) is the number one issue that Bulldogs can suffer from. This is where the airway through the nose and throat is narrowed from excessive soft tissue. Think of their head bones having been compressed through their breeding without the corresponding compensation in soft tissues. Signs include an interrupted breathing pattern when asleep, shortness of breath on a moderate walk, gagging and the production of phlegm in the back of the mouth. BAD most commonly affects British and French Bulldogs. Surgery to improve the airway is highly advisable particularly if symptoms are seen in a young dog, and generally the younger the better. Unfortunately, the only way to really assess airways is under general anaesthetic, so we routinely check airways on any Bulldog being anaesthetised for other reasons (eg desexing). The other very important preventative for BAD is maintaining your Bulldog at a healthy weight (even though having a chunky dog is appealing). And when selecting a pup, look for parents whose noses aren’t completely flat and whose nostrils aren’t completely pinched. Skin folds are another issue all bulldog owners need to manage. There are facial skin folds particularly in British Bulldogs, and also potentially issues with skin around the tail in-turned or corkscrew tail dogs. A simple way to keep skin fold areas from getting infected is to wipe daily with Baby wipes with a few drops of vinegar added. British Bulldogs in particular, can often suffer from various other skin problems, including eczema (allergic dermatitis), Interdigital cysts (swellings between toes), chronic ear problems and demodex mites in adolescent dogs. Again check parents for skin problems when buying a pup and white coloured dogs are possibly more susceptible. Regurgitation is another common affliction of French and British bulldogs where within an hour of eating they regurgitate their food or frothy phlegm. This issue is thought to be connected with Brachycephalic Airway Disease (BAD), but will often also respond to a change to a good quality diet, and sometimes an elimination diet consisting of a source of protein they have never encountered before. Eg Venison or Crocodile. The loose skin on the face of Bulldogs was thought to protect from injury back in the day when they originated, but in this day and age, it creates skin folds that need managing, and also can give rise to poorly fitting eyelids. If the eyelid doesn’t make good contact with the eyeball, this can give rise to chronic eye irritation requiring corrective surgery. Another regular eye issue of British Bulldogs is distichiasis, where dogs have extra lashes that stick out of their eyelids and rub directly on the corneal surface. If they irritate badly enough they need to be removed. And if that’s not enough, irritated eyes can also develop “Dry Eye”, where tears stop being produced. Long term eye drops will be required in this case. Heat Stroke is another important issue with all Bulldogs. Be aware during warmer months of how easily this can occur, and take precautions. A toddlers pool is a great remedy for hot weather in summer. If your dog is distressed and isn’t improving after 10 minutes efforts to cool them, you should seek emergency Veterinary care ASAP. Head Tremor. This is another disturbing but essentially harmless ailment that is seen particularly in British Bulldogs where they have episodes of uncontrolled head tremoring. It comes and goes, but doesn’t cause any problems. If you have a bulldog or have recently acquired one, we would love to meet you and your bulldogs and help with any issues you might have.